Workplace is a personal “control center”. Your personal efficiency depends on how rationally and well-minded it is organized. We’ll show you how to clean-up a mess on the working table and to become much more efficient. Nowadays there is a profession called “professional organizer”. This person helps clients to clean up rooms and offices, papers and electronic files, as well as to create an individual planning system. Studies show that in average a person loses at least an hour per day only because of disorganization. And people get terribly annoyed when they cannot find something. After all organizing and order establishment take much less time. That is why experts recommend organizing the workspace to maximize efficiency and productivity. The placement of your monitor is important not only for your efficiency but for your health as well. It should be located at the level of your eyes, and the distance between the eyes and monitor should be approximately 18-22 inches. Place the items you use more frequently (your telephone, stationery, etc. ), at the side of your dominant hand. You’ll see how convenient it is: there will be make a long arm for them, knocking down everything around. You scarcely need every day the whole abundance of the stationery which can be found at hand on the table. Put on the table only those office supplies that you use every day. Others put in a box or a pencil case and keep it in a drawer, but rather somewhere away. Because getting up and walking from your table to get a pen, pencil or anything else, for some time you’re turning the brain off from the project you’re working on. This will allow you see it from a new perspective, when you come back. Some experts emphasize that it is more convenient when workers store office stationery supplies in a separate place (for example, in a common cabinet or on a rack), instead of placing them in their drawers. Monitor pasted by numerous colored papers as a message board is neither useful nor productive. When there are too many such reminding prompts they become useless. Be restrained – the reminders on stickers should be really important and preferably short-term. It is significant to keep balance between professional working environment and personal life on the workplace. And it’s not easy. Family photos, vacation souvenirs, and other pleasant trifles can warm your heart and cheer you up during the day. Nevertheless, the item which are too precious for you and may cause a whirl of memories, are too distracting. Because even if we do not notice and realize this, when our sight slides on the subjects, the brain works on the information. Specialists recommend keeping on the table not more than 3 personal things. Even nowadays email remains the most often used and convenient communication method in the Internet. But it can take a heavy toll on efficiency if you will constantly be diverted by emails. Professional planners/organizers highly recommend checking the e-mail several times a day, at precise times. The remaining time should be devoted to working only. And don’t forget to turn off the e-mail notification on your desktop, so that it won’t destroy your “working mood”. At times your working table is so overloaded that no place can be found to sign a paper or to create a hand-written document. Try always to keep on your table an “island” free of items (the side where it will be located depends on your dominant hand). It shouldn’t necessarily be big, a space of 10 × 15 inches will be quite enough. - unimportant and not urgent. Use special organizers for the folders and do not pile them, this will make the workflow easier. The mess helped Alexander Fleming and Alan Turing to perpetuate their talent. But such illustrations are single. 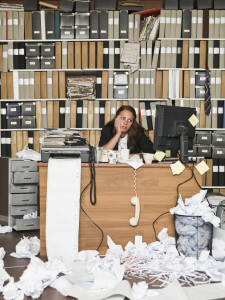 For the majority of people a mess has a negative effect, it decreases concentration and efficiency. You should regularly ask yourself a question: are all the items located in their place on your working table? To clean up the table at the end of the working day takes 5-10 minutes, and the next day you’ll be able to start organized and without any distraction. Cleaning and disinfecting are the most important approaches for preventing infectious diseases, such as flu. Of course, students should be taught at home and reminded at school that it is highly recommended washing hands, covering sneezes and coughs, etc. But schools together with janitorial services should know how to stop spreading of flu and other diseases through disinfection and cleaning. First of all, let’s talk about the terms. Cleaning helps to remove germs, bacteria, dirt and dust from the surfaces. Usually janitors use cleaning detergents or soapy water. Cleaning doesn’t kill germs or bacteria, but removes them from the surfaces. Disinfection, on the contrary, kills germs and bacteria. For disinfecting, janitors use all kinds of chemicals that kill germs. 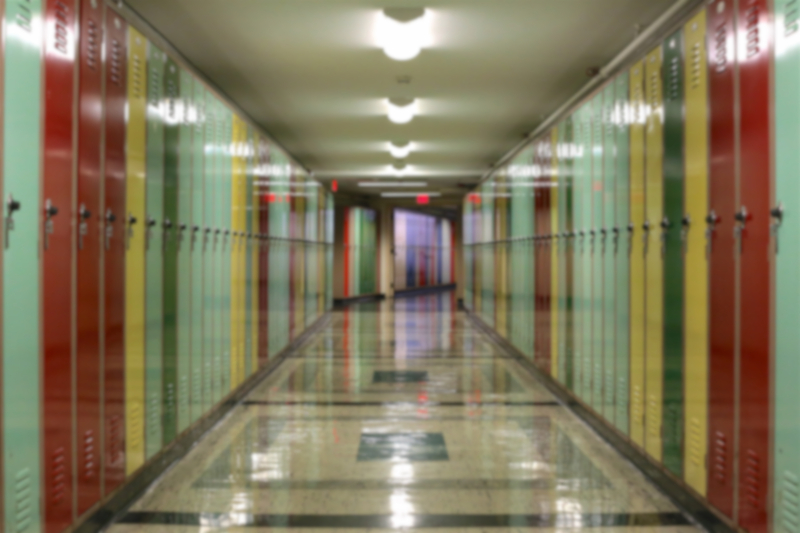 So, what should be done at school to stop flu and other infectious diseases? First of all, there should be special school’s standard procedures for disinfecting and cleaning. There should be a special routine developed by the janitorial services and schools. 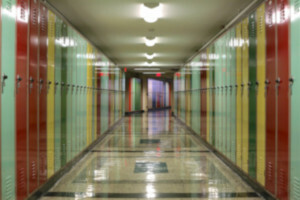 Typically, janitors sanitize surfaces and objects that are touched very often at school. This includes desks, countertops, computer mice and keyboards, doorknobs, faucets, etc. Most schools also choose to disinfect bathrooms on a daily basis, in addition to regular cleaning. How to clean and disinfect? It is very important for janitors at school to follow the directions written on cleaning products and disinfectants. 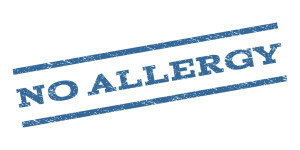 It is very important to use EPA-registered disinfectants for killing germs and bacteria. If your janitors do not have EPA-registered products for disinfection, they can use a fresh chlorine bleach solution. In order to prepare it, add one tablespoon of bleach to four cups of water. The solution should be applied on surfaces using clean cloth. Leave it on the surface for 3-5 minutes and then rinse with clean water. Hotels today pay a special attention to their reputation that is why many of them try to work their best. Hotel cleaning is one of the most important things, especially if the hotel managers think about future customers and the profit. The main thing that managers need to realize is that people do not want to sleep in dirty rooms, and the cleaning staff of your hotel should understand that. Look for professional cleaning service that will help you to get a shiny and spotless establishment. Make sure the cleaning staff realizes that the most important place in a hotel is bedroom. Make sure that trash or other items that could have been left by a previous customer are disposed of. The bed is the most important place in the bedroom. It should get the greatest attention from your cleaners. Usually a bed is the first place that customers inspect. Make sure that all the bed sheets are clean; that there are enough pillows and comforters. 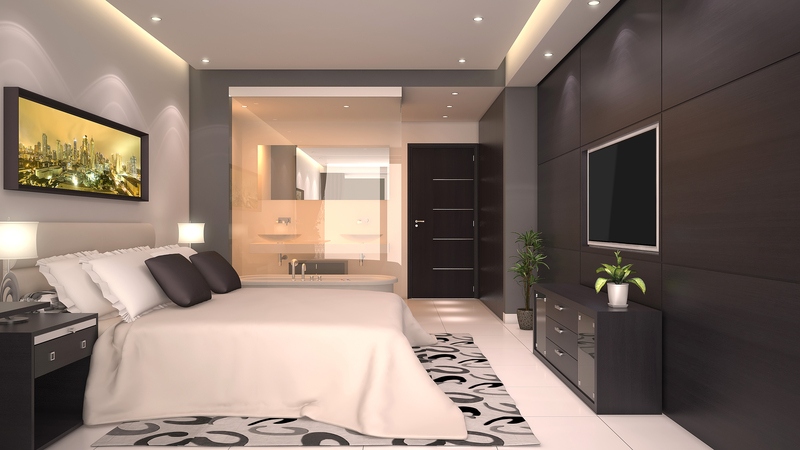 When the bed is in its’ best shape, clean other surfaces, such as television, mirrors, tables, etc. If you find out that there are stains on the couch, bed or matrasses, get rid of them immediately. Trash cans should be clean and each trash can should have a new trash bag. The bathroom should be also thoroughly clean and working. Make sure that the towels are clean. Mirrors and other surfaces are spotless. If your rooms are clean and inviting, be sure that the customers will be back! How can we avoid aerosols that are very harmful to our health? The answer is simple; you need to prepare your own air fresheners. Make your own air-fresheners by combining equal parts lemon juice and water, pour the mixture into a spray bottle and use it whenever is needed. 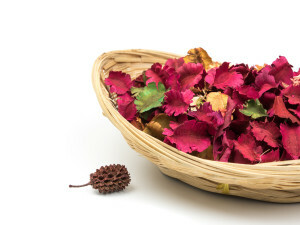 You may also use spices that you like to prepare deodorizers. You will need a sauce pan with water. Add all kinds of spices that you like and simmer them together with water. You may simmer cinnamon, cloves, fresh ginger, and the herbs of your choice. Mint also works great if simmered with other spices. It adds summer smell to your home. While preparing these deodorizers, you may also add essential oils that are considered to be your favorite. The quick way to refresh your room is to place there a cotton ball that is soaked in vanilla extract or in other essential oil. If you have a small bowl, you may just pour a little bit of vanilla extract in it and enjoy the odor in your home. House plants are also a great answer. But keep in mind that not all of them smell nicely. Here is the list of the plants that are great for every office. Cold and flu season is coming. 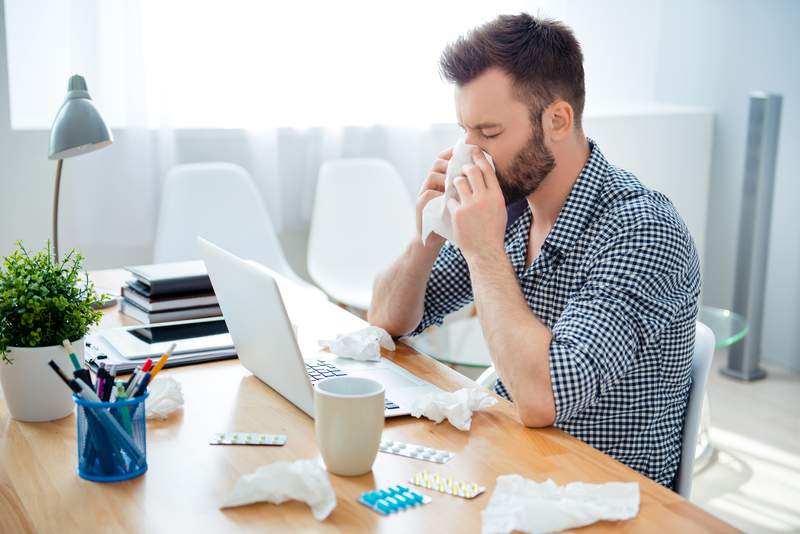 What has your company done to keep the employees safe from flu? Does your commercial cleaning company use the special techniques to keep the environment flu-free? Public place is a very germy place. Germs are easily transmitted from one person to the other very easily, so your commercial cleaning company should provide the germ-free environment. Just think about all the surfaces that are found in the office and are used by many employees. There are a great number of surfaces that should be disinfected, but nobody even wipes them down. This is the mistake of your commercial cleaning company. 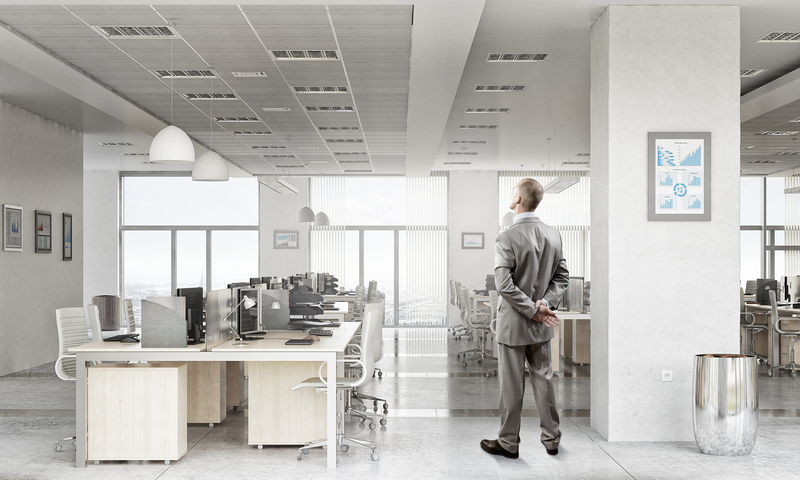 Of course, it a good idea to have a commercial cleaning company to look after the cleanness in your office. But you need to choose the ones that will not only clean the floors and the mirrors, but those who will perfectly clean and disinfect all the surfaces in your office. During cold and flue season your cleaning crew should prevent such bacteria like staphylococcus, streptococcus and E.coli, cold and flu viruses using new bacteria fighting techniques and practices. If a commercial cleaning crew uses green products to clean the office, it’s even better, because it will help to avoid allergies and other health diseases. Your employees will surely thank you. If you are looking for a good janitorial company in Seattle, our crew will be ready to provide the full range of cleaning services for you. If you have any questions, just give us a call. Office Trash: Let’s Manage It! Office is a place where you will find lot’s of papers, documents and other stuff that is not needed. Trash is accumulated in the office with the velocity of light. That’s why this problem should be solved by every employer. Sometimes it seems that office trash will never go away. 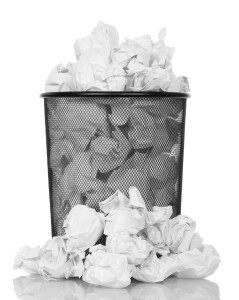 There are piles of different papers in every corner of the office; trash cans are always full of papers. It should be said that office trash is usually represented by paper, cardboards, office stationery and food that was thrown away by the workers. What you need to understand while taking about office trash is most of it is recyclable. You just need to sort your trash and recycle that can be recycled. Experts say that such trash sorting saves a lot of money. The firs thing experts recommend doing is checking with your trash removal company whether they charge for recycling removal. Nowadays most of the companies do not charge for removing recycling. But if you find out that your trash removal company charges you for everything, we recommend changing the company. Just call one of the recycling removal companies. They will provide you with special trash cans for paper, glass, plastic, etc. You also need to remember that many stores will gladly accept all the recyclable ink toners or other supplies. They will also give you as a gift special discount cards. Search in the internet what are proposed by different companies in your region. The main thing you need to understand that you must manage your office trash. And it’s not very difficult to do, you just need the desire. If you don’t have time, the experts from Pro Quality Office Cleaning will gladly help you to cope with this problem and save money on trash. The world changes a lot, more and more organizations and businesses think of how to make their office eco-friendly and green. · The main thing you can do in your office is to make your air green by placing a lot of green plants around the office. · While cleaning ask your commercial cleaning company to use eco-friendly supplies. These products will still work as great disinfectants, but they are friendly towards the environment. · Turn off all the equipment at the end of the day, or turn off all the equipment that is unused by the workers. · Use e-mails more than usual mail and this will save paper. · All the papers that you use should be double-sided. All the printing or copying should be double-sided. 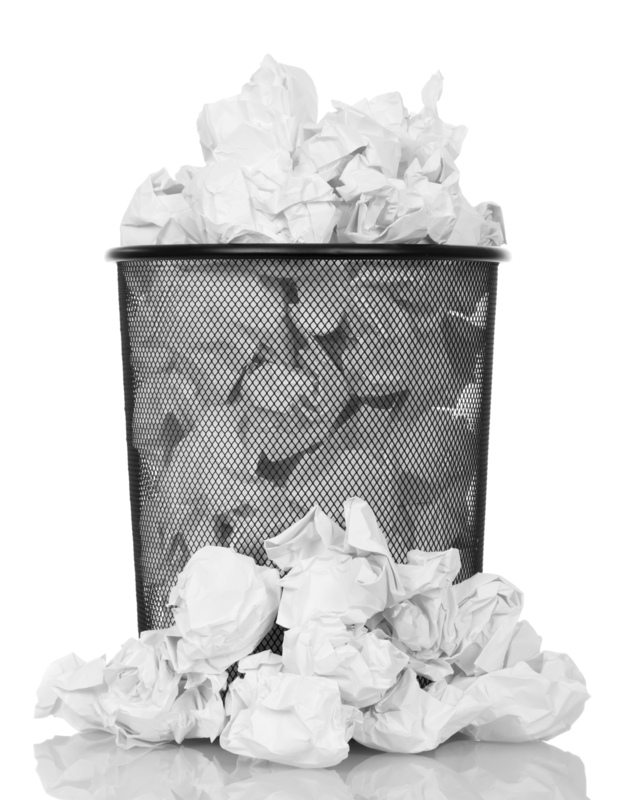 · Office paper is something that is recyclable, but most of the paper is wasted. Reduction of the waste is cost-effective, even more than recycling. · Remember that color printing uses more ink than black and white printing. · Paper clips that are made of the aluminum are considered to be recyclable. So use them more often than staples. · Your screen saver uses extra energy when you stay away from your computer. Use the function “sleep or hibernate” if you are away from the computer for more than 10-15 minutes. · When you leave your desk or office, turn off the lights. It is very important to save the energy. Most of the commercial cleaning companies provide post construction cleaning services that are of high demand among organizations and offices that have finished renovation and remodeling of the territory. 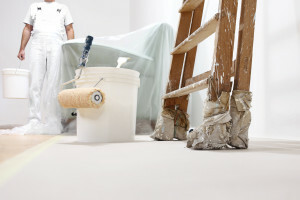 Improvement of the office is a great thing, but for the post construction cleaning it’s much better to hire the cleaning company that provides post construction cleaning services. 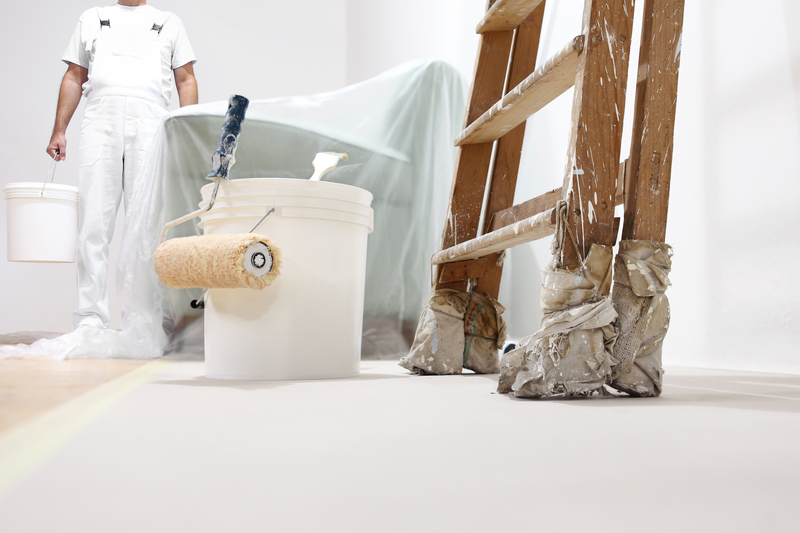 It’s not a secret that in order to enjoy the renovation, the area should be thoroughly cleaned. If you decide to do the post construction cleaning yourself, you will need to start with the trash removal. Trash is the major part of the cleaning. There are tons of building materials, garbage and other stuff that should be collected and removed from the building. It’s very interesting to see the results of your work, so many specialists recommend taking pictures before and after. After you have cleaned the area from the trash, you need to pay attention to the windows. Usually during the reconstruction they become really dirty. Windows and glass surfaces should be cleaned with a glass cleanser or some other mixtures that are considered to be eco-friendly. Doors and walls are to be washed with warm water and cloth, of course, some soap can be added, but don’t forget to rinse the surface well. 6. Sweeping, moping the floors and vacuuming of the carpeted areas. How to Motivate Office-Workers to Clean-Up after Themselves? It’s worth noting that the working place of your workers is so to say the “face” of your company. None of the customers wants to see piles of papers and dust on the desks of your workers. 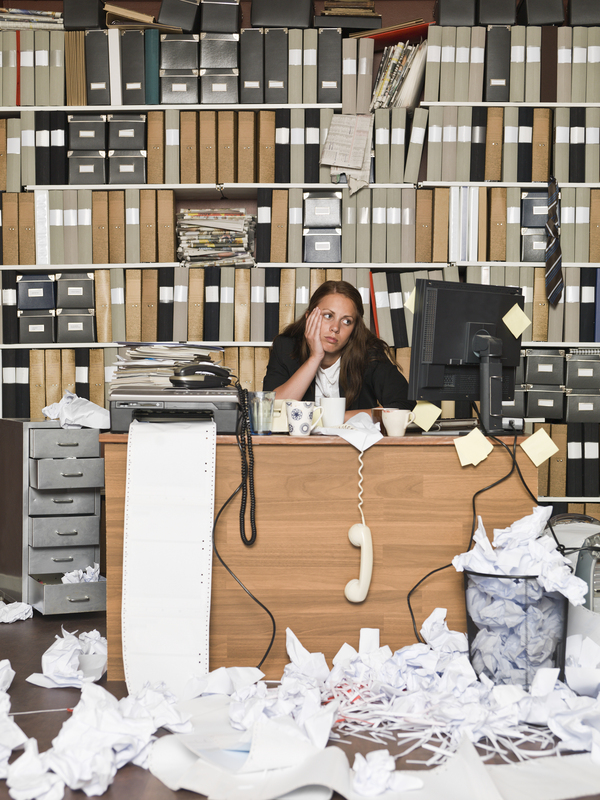 A messy workplace is not one of the most productive places. And it happens so that in this mess the workers loose important documents and disorganize the work of personnel as a whole. But to tell you the truth, it’s very easy to motivate your employees to clean-up after themselves, and there are several ways how you can achieve good results. First of all, you need to voice out loud that everybody in the office must clean up after himself. You can also assign special cleaning tasks to different employees. But you can not forget about yourself, you also need to clean up and show them a role model how to act. You shouldn’t grumble while cleaning, do it with a smile, showing to the co-workers that it’s not difficult to keep you workplace clean and well-organized. Your colleagues shouldn’t also forget about the food leftovers that rot and smell horribly. Explain to the workers why it is important to clean up, tell them that dirty office gives to the customers the idea of non-competitiveness. It’s also a great idea to have a system of rewards and penalties. The boss may reward them financially or giving free lunch, etc. And employees who do not clean up for themselves may clean after everybody as a kind of a punishment. Hopefully, in such a way they will be able to understand that it’s much easier to clean up only after yourself. A special cleaning schedule should be developed; it will give the employees a special time that is especially dedicated to the cleaning. Usually this time is given at the end of the day, 5-10 minute is quite enough to arrange the workplace. It would also be nice to have special organizers for papers, pens, pencils, documents, etc. Try to encourage your workers to eat their lunches in a special canteen and not at the desk, where they leave lots of stains and crumps. Very often people just forget to clean because of the busy day they have, that’s why it’s good to have special reminders. If these ways don’t help you with the coworkers, our company would love to clean your office. Pro Quality Cleaning provides all kinds of commercial cleaning services for your business in Seattle.